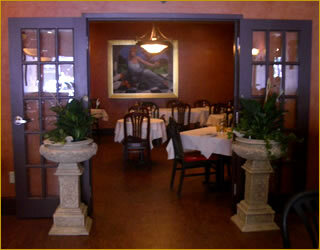 Cafe Mediterraneo is available for private functions and can accommodate large parties upon request. A private room is also available that holds up to 35 people – perfect for holiday parties, graduation, business meetings, rehearsal and wine dinners. Catering services are also available upon request. Please call 603-427-5563 for reservations or information.